If you look around at what is happening right now globally, it can seem pretty scary! However, I believe we are in the midst of a major paradigm shift and people are getting empowered in so many ways. It is time to claim our own power and step into our best versions of ourselves. There’s a story I share in our cultural engagement certification training to help understand Ubuntu and the power of collaboration. This is the essence of Ubuntu (oo-boon-too, n.), which means, “I am because we are.” It is a Zulu word, and a traditional African concept. It’s a term for humaneness, for caring, sharing and being in harmony with all of creation. When we understand that we are ALL connected, and that there are people who may be hurting, it becomes impossible to ignore it and not do anything. This is why we are seeing such a huge increase in activism. People are coming together to take a stand against things they simply won’t accept or tolerate anymore, whether it is corruption the government, banking, or business, or fighting against the Monsantos of the world. People are saying no to war, greed, deceit, and corruption in ways we’ve never seen before. The antidote is collaboration and connection, a deeper understanding that by working together we all win and an awareness of how we all truly impact each other. What I see happening is the level of consciousness or awareness in the world is increasing greatly now. 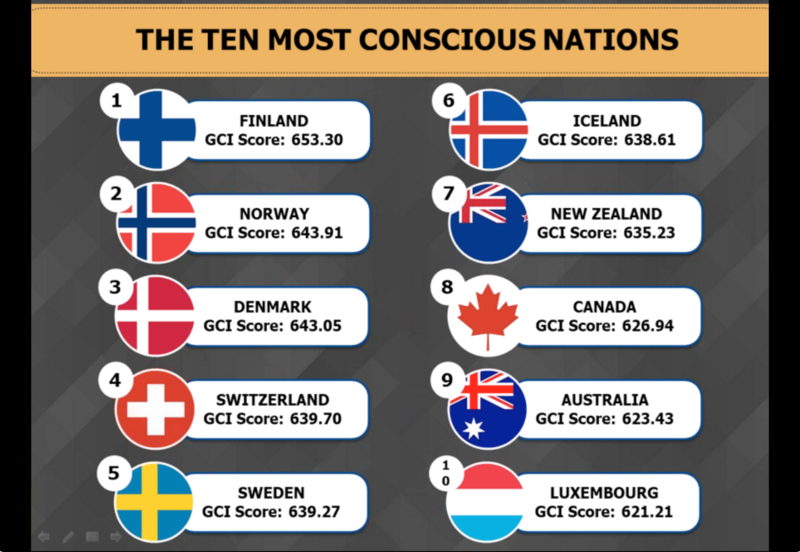 Richard Barrett, founder of the Barrett Values Centre and author of several books, is creating the Global Consciousness Index (GCI). He’s mapped out many of the other global rankings such as innovation and happiness indices, added his work on rating values on a country level, and discovered that the countries that have the highest levels of people awareness on a global basis have the highest levels of consciousness. It’s fascinating work. 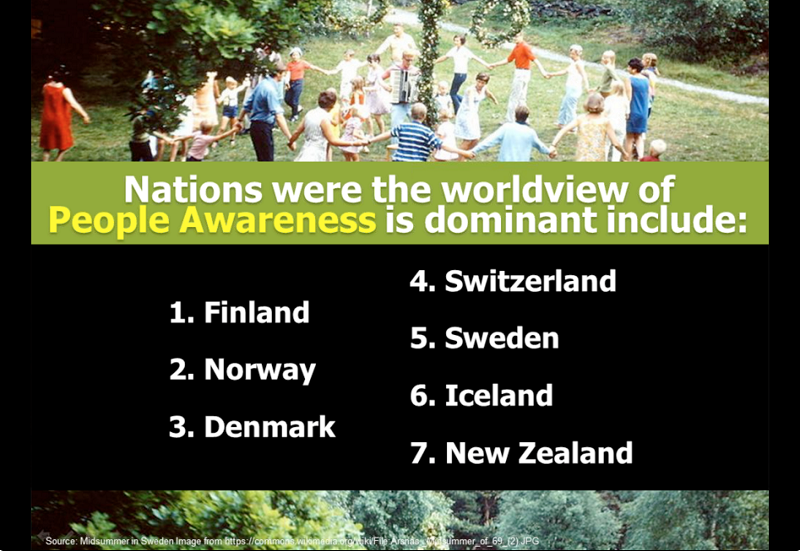 Here we have the top seven nations that have the highest People Awareness and the top 10 most conscious nations. We are living in unprecedented times. With the easy of technology, we are able to learn and share information incredibly quickly now. And it is connecting us globally. 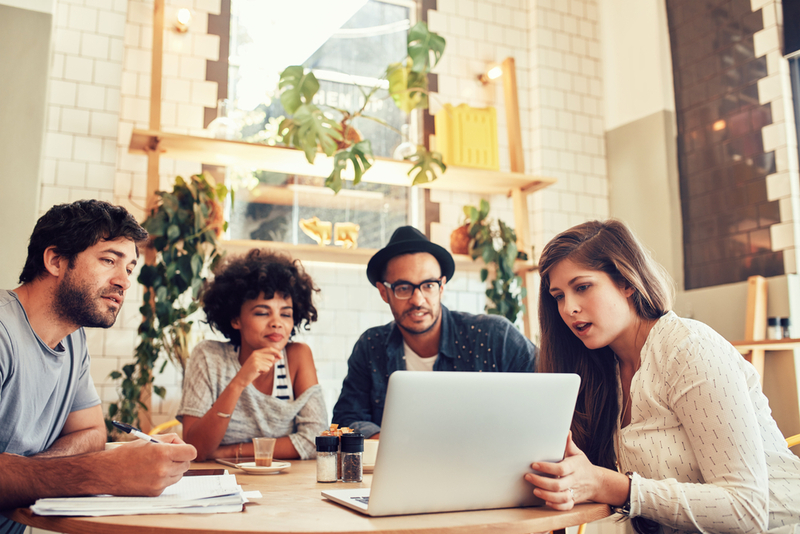 By consciously working in our own lives with collaboration and connection, we can create better and more engaging work places, better learning experiences in our schools, and overall better lives. Let’s not underestimate the power of influence each and every one of us has in both our own lives, at work, and the lives of those we touch. It is time to rise up and collectively create a new world, one that supports humanity, freedom, and the ability to reach our highest potential and impact ever!